Four launching ramps each with its own pier provide for quick access to great fun. The gas dock can accommodate up to four boats, pumping 89 octane, ETHANOL FREE, gasoline. 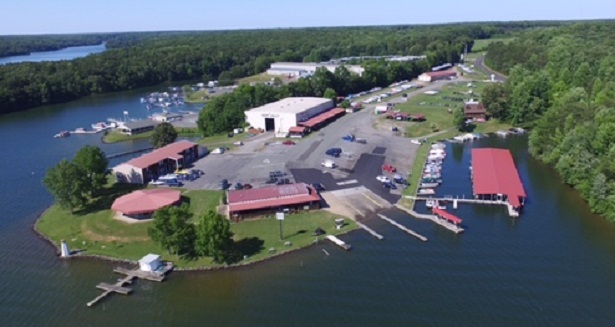 High Point Marina offers several different types of storage. Traditionally, land and wet storage provides the customer the convenience of storing his boat in or near the water. However, The Valet provides a more luxurious approach. An all-indoor facility, The Valet protects your boat and equipment from the elements, thus adding years of life. More importantly, we do all the work! All you do is show up and enjoy the lake. In most cases we can launch and retrieve in less than three minutes! Boats over 22.5' in length and/or over 8' wide, price is about 10% higher. charging batteries and other chores. Non smoking efficiency available for $20 per night more. Free boat slip with every room! "We Work So You Can Play!" Home of the Hambys Beaching Protector Protect your investment! Fiberglass repair can be quite expensive but with the Hambys you can be worry free! If you like to beach your boat but worry about damaging the hull then this product is what you are looking for. We are the only authorized dealer in the Maryland, Virginia, and Washington D.C. area! (540) 895-9616Open Monday - Saturday 8:30am - 5:00pmCall About Tune-Up Specials! The majority of fish are still pre-spawn feeding and chasing baits in all areas of the lake. Spinnerbaits, jigs, medium running crankbaits and suspending jerkbaits seem to be the bait of choice for anglers. The constant change in temperatures have the fish moving between deep and shallow areas. Fish are moving up to warm surface waters and feeding on bait in the afternoons, however because of the colder than normal weather most have been staying deep. Fish in 8-15’ of water, along shorelines. Don't worry about structure, docks, etc. Big fish and good numbers 3 fish over 8 lbs and 1 almost 10. 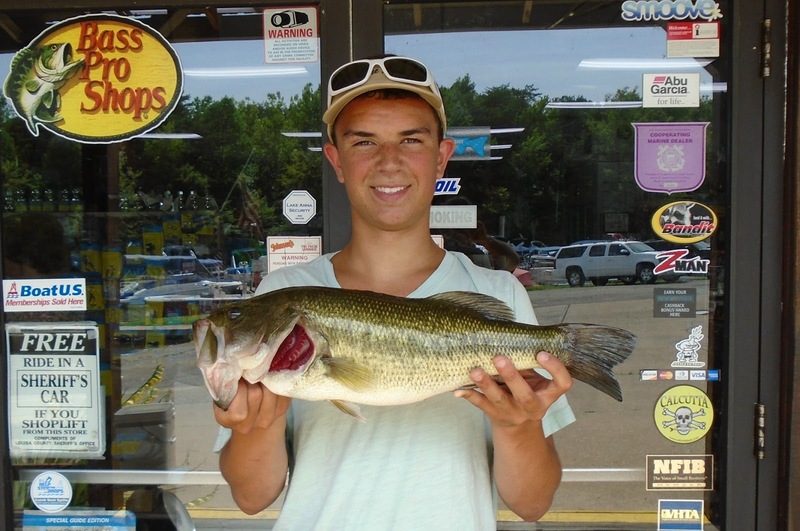 Schools all over the lake, but just like the bass the best areas are the upper and lower ends. They are sporadic, but patient anglers are catching fish later in the day as the evening bite is the most productive. You will need to move around a bit as the schools are small and constantly moving. Fish are in all depths, but the best ones are hitting around 8’. Sassy shads, Sea Shads, KT Slab spoons and live bait all are producing fish. This is the time to get out and catch the big ones up to 2 lbs. They've fed and grown all winter and are gorging baits, preparing for the spawn. Schools are still deep, but will move into shallower waters as soon as we get a warm trend. Use 2" grubs, small and meduim minnows 1/8 or 1/4 oz spoons. Water temps in the low to mid 50’s, lake is at full pool and the upper end is still stained.